Marketing to Millennials is similar to risking it all in poker in that today’s rapidly changing marketplace often makes it necessary to be bold and go ‘all in’ if a brand wants to make a real impact, especially on an audience like the Millennials. 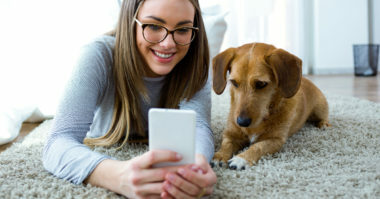 For a look at a brand that put it all on the line to gain market share among the Gen Y audience, MediaPost.com presented the following profile. Campbell’s Soup is renowned as a classic and traditional brand, yet those conventional qualities do not reflect the demeanor or desires of the Gen Y audience. 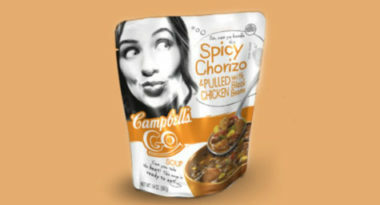 Canned soup itself is perceived as an old-fashioned food, so Campbell’s faced the dual challenge of creating a contemporary and hip image for both the brand and the products it produces. To overcome the deeply ingrained perceptions of the brand and the products among Millennials, Campbell’s decided to risk it all by creating both a brand new line of products and a progressive ad campaign targeted to Millennials. Currently, the ad campaign and the products have been embraced by Millennials, so the risk is appearing to have paid off well. Yet such success didn’t happen by accident, but rather for three key reasons. First, the brand redesigned its products to appeal to the lifestyles of this on-the-go young audience. They traded their clunky cans for sleek, microwaveable pouches that fit Millennials’ need for convenience, portability, and fast preparation. Even though the Gen Y market was comprised of a variety of segments ranging from teens to new professionals to young parents, they all exhibited a need for products designed for their active, on-the-go lifestyles. Next, Campbell’s used this younger audience’s multi-cultural cuisine preferences and interest in sharable foods to direct the development of new soup flavors. Gen Y loves ethnic foods, especially those from unexpected locales, so Campbell’s used their global tastes to inspire new recipes with Caribbean, Middle Eastern, and African flavor profiles. Their product development team realized that the usual Italian and Japanese ingredients weren’t exotic enough for the Millennial culture and quickly broadened their search to explore more adventurous global cuisines. Finally, Campbell’s took a huge risk by replacing their iconic red-and-white-labeled cans with sleek pouches bearing black-and-white images of their Millennial target audience. The marketing team also ventured into Gen Y’s pop-culture comfort zone by designing their website to resemble Pinterest and Tumblr, along with encouraging consumers to make Spotify playlists based on the soup flavors. All of these efforts were intended to spark social media conversations that referenced the Campbell’s brand. While such a major makeover may seem extreme for such a familiar and popular brand, it shows that sometimes the only way to extend a brand’s reach is to go ‘all in’ and realize that nothing ventured means that nothing can be gained. To learn more about the latest trends in marketing to Millennials, contact MDG Advertising. MDG Advertising, a full-service advertising agency with offices in Boca Raton and New York, NY, is one of Florida’s top integrated marketing agencies. Our 360° integrated approach uses just the right mix of traditional and digital marketing to reach your advertising goals. MDG specializes in developing integrated marketing solutions, exceptional creative executions, and solid branding and media-buying strategies that give clients a competitive advantage. Our core capabilities include branding, logo design, creative, digital marketing, media planning and buying, radio and TV advertising, online video, Web design and development, email marketing, social media marketing, and SEO. To learn more about the latest trends in marketing to Millennials, contact MDG Advertising.